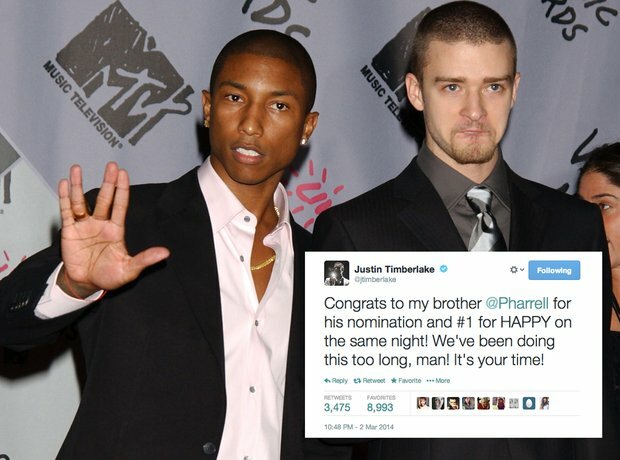 Remember the Pharrell and Justin Timberlake 'Justified' Days? 2. Remember the Pharrell and Justin Timberlake 'Justified' Days? "Congrats to my brother @Pharrell for his nomination and #1 for Happy on the same night! We have been doing this too long man! It's your time!"